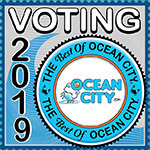 The Best of Ocean City 2019 Voting is Now Open! Cast Your Votes for The Best of Ocean City® 2019! Last year’s polls saw nearly 60,000 votes cast, and this year is expected to yield an even bigger turnout! Voting for the Best of Ocean City runs from Memorial Day to Memorial Day each year. That means the 2019 Voting ends on Monday, May 27! 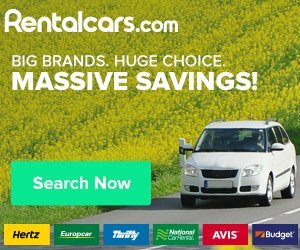 As Ocean City’s premier online destination guide, it’s our mission to bring you the best hotels, restaurants, activities, events, and deals Ocean City has to offer. Every year, however, we call upon you to help us sort out the best of the best in our annual The Best of Ocean City® reader’s poll. In addition to being the longest running of its kind, our The Best of Ocean City® awards are unique because ALL Ocean City area businesses are eligible to win. Below you will find ballots containing The Best of Ocean City® 2019 nominees in almost 40 categories, including dining, bars, activities, and the boardwalk. Winners will be included in next summer’s The Best of Ocean City® pocket guide and be given our distinctive winner’s certificate and window decals to display for the year. This is your chance to make your voice heard and be part of the most prestigious The Best of Ocean City® competition in town by honoring the restaurants and businesses you love the most. Ready, set, vote! Are you a business owner? Click here to promote your business in The Best of Ocean City® 2019 contest.